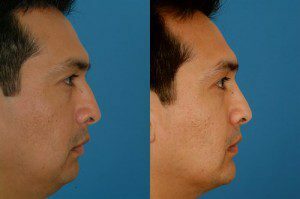 Chin reshaping or mentoplasty describes the restructuring and reformation of the “mentum” or chin region of the face. By sculpting the chin through plastic surgery, a more aesthetically pleasing profile can be achieved. Whether constructing a stronger, more defined chin, or a more delicate smaller one, Dr. Bassichis can create a more balanced relationship between the various facial structures. 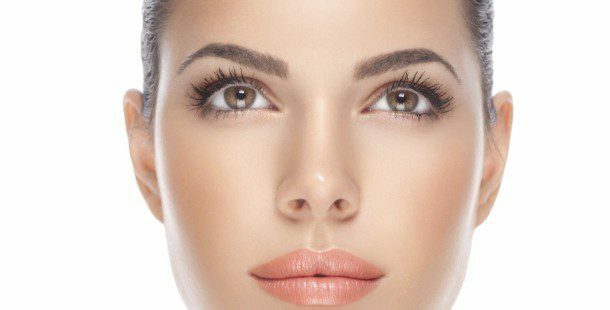 One of the keys to a naturally attractive face is proper proportions – chin surgery can be the fulcrum of a balanced, harmonious facial appearance. Chin reshaping surgery is performed through a small incision hidden in the natural crease underneath the chin. Using appropriately selected chin and/or jaw implants customized for each patient, a rejuvenated and defined jawline can be achieved. As well, it is very common for chin surgery to be performed at the same time as nasal reshaping, allowing Dr. Bassichis to create the most ideal profile for his patients in one surgical procedure.